Tomorrow kicks off my Cypher System month on the Gauntlet Hangouts. I’ll be running sessions of three different Cypher settings: Gods of the Fall, Predation, and Unmasked. It’s the first time I’ve run Cypher and I’m excited to give it a try. I’m using pre-gens for the Thursday games, but making up characters for our Sunday sessions of Unmasked. To orient myself (and the players) I crafted a one-page cheat sheet. It doesn’t cover everything, just the basics players might hit in a couple of sessions. I’ve also made a formatted pdf of it if you’re interested. 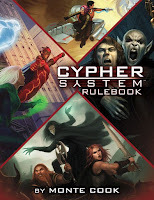 Also check out the Cypher System Rules Primer available for free. NOTE: I've updated the pdf with a couple of additional details. The GM assigns a difficulty, usually 1-10, and a stat (Might, Speed, Intellect). Multiply the final difficulty by 3. Roll that number or above on a d20. As you can see, you’ll focus your work on step 3. So how can you lower difficulty? Skill: if you have a related skill reduce difficulty by one step. If you’re “specialized” reduce it by 2 steps instead. If you have an Inability you increase it by 1. Assets: This catch-all includes equipment, aid, high ground, etc. This can at most reduce the difficulty by 2 steps. Effort: For every 3 points spent from the stat Pool, reduce the difficulty number by 1. Abilities modify this spend. If you reduce a difficulty to 0, you don’t have to roll. If you have Edge with a stat, you reduce the cost of Effort and ability activation from that Pool by one. You also have an Effort rating based on your Tier. This shows how many times you may apply Effort to a single action. Combat works the same. You roll both attack and defense; the GM never rolls in this fame. For initiative roll a d20 Speed roll. If you beat the NPC value, you go before them. Otherwise you go after. Weapons do set damage. A light weapon does 2 damage, but reduces difficulty by 1 step. A medium weapon does 4 damage. A heavy weapon does 6 and requires both hands. Armor subtracts straight from damage. When you roll a 19 and succeed, you get a minor effect. In combat that’s +3 damage, knockdown, or anything similar. If you roll a 20 and succeed, you get a major effect and regain any Effort you spent. A major effect in combat’s +4 damage or a similar effect. Outside of combat, major and minor effects let you do more and look cooler. In combat, a 17 adds +1 damage; an 18 adds +2. You may spend Effort to increase damage. One level of Effort (usually 3 points) does +3 damage. If you roll a one, the GM makes an Intrusion (see below) and doesn’t offer XP. Damage is subtracted from the appropriate Pool, usually Might. When your first stat Pool gets reduced to 0, you are Impaired. It now costs an additional point to apply Effort. You don’t get major or minor effects from rolls when Impaired. If you take more damage apply it to the next Pool (Speed, then Intellect). If you’re Impaired and take enough damage to reduce another stat Pool to 0 you’re Debilitated. Can crawl around, but that’s it. If you take enough damage to reduce another Pool to 0 you die. To recover you Pool, rest. Roll 1d6+1 and divide the result among your Pools as you wish. Your first recovery each day takes an action. After that it requires an increasing amount of time (ten minutes, one hour, ten hours). At any time, the GM may introduce a complication called an Intrusion. This spotlight’s a particular character. Something happens, a task turns out to be more difficult, a job requires more resources, the place blows up. If you’re chosen, you must deal with the situation, but you get 2XP. Keep one and give another to another player. You may decline an intrusion, but this costs 1 XP. If you have no XP, you can’t refuse. If you are planning, researching, or scout, scouting, you can spend 3 Intellect and an action to gain a single bit of special knowledge from the GM that you can count on with certainty. Your characters may have abilities allowing enhancements to actions, bonuses, or new action types (like firing lasers from your eyes). If something costs points to activate it, reduce that cost by your character’s Edge with that stat Pool. Cyphers are one-shot items; you can only carry a limited number of these. 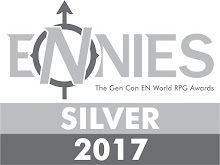 At the end of a session, the GM awards each player 1-4 XP if they made any significant discoveries. Basically if you learned or found out anything cool or new you get XP. This can be about the plot, the world, themselves, etc. 10 gains you a benefit; four benefits raise your Tier. What other essential elements did I miss? I left off distance & action since they're basic and can be explained in a moment by the GM. Here I wanted concepts players might need to check back on. I'll revisit this after I've run some sessions to see what key bits I forgot. I ran the last session of Hearts of Wulin PbtA yesterday. I tied together several character threads, put two PCs in the spotlight, and significantly changed some entanglements. Down below I’ve put links to the session videos and my previous posts on the system. Today I want to consider some of the material I need to develop if I want to make this a full-fledged game. This isn’t everything, but its where I plan to start. You went to protect your brother and remove him from the dangers, but also to consult with your parents about the potential marriage arrangement. When you confront your parents, roll. On a 10+ they hear your words and understand that what they’ve done may be premature. However to keep face they require something significant of you. What is it? On a 7-9, they’re upset with you and it creates a rift. They will instead offer your brother’s hand in marriage to Zhen Ai. How does this reshape your entanglements? On a 6-, they command you to accept the marriage and formally announce it. 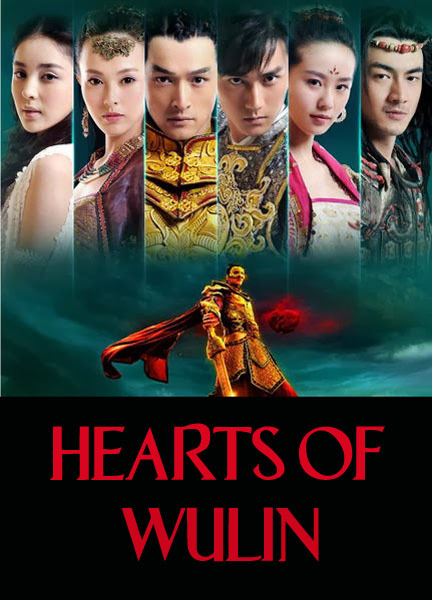 I ran this rough draft of Hearts of Wulin without a formal set of GM practices. Instead I relied on my sense of the genre and conventions. Now I need draft guidance for what that actually means. Looking back at sessions, I’ve spotted opportunities, moments where I could have deepened the setting without too much intrusion. Based on that I’ve assembled a preliminary set of GM elements—complementing more universal PbtA admonitions. As it stand right now, Hearts of Wulin could include supernatural elements. There’s no reason to keep that out of the fiction. But the mechanics don’t incentivize or enhance that. 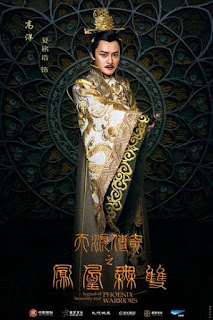 I want to develop an optional material to help simulate movies like Bride with White Hair, Green Snake, and Zu Warriors. There’s a fine line between the heightened abilities of martial arts in these movies and actual supernatural forces. I can think of three parts to support that: a) new roles for the playbooks; b) new standard moves; and c) material covering supernatural forces in the setting (ghosts, wizards, gods). I would be cool (and symmetrical) to have a new role for each playbook. Off the top of my head, I’ve considered: Exorcist, Alchemist, Monster Hunter, Taoist Magician, Cursed, and In Human Guise. 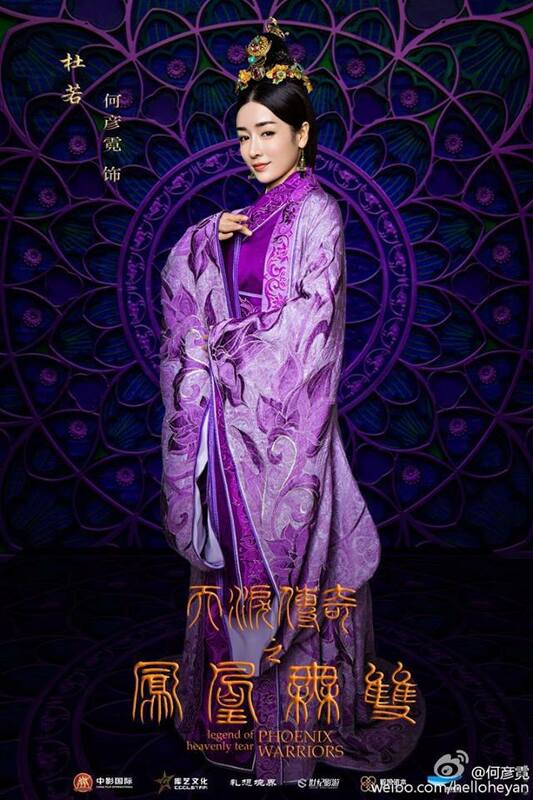 This last one would represent supernatural forces who have taken another form to interact with humanity: Susu from The Sorcerer and The White Snake, Monkey from Journey to the West, or Xiaowei from Painted Skin. We’d handle that as an open secret at the table. I imagine the Exorcist/Monster Hunter would have the ability to resist the influence of and interact with their respective sphere of influence. For each they’d also begin with an entanglement related to their work: a ghost who loves them, a monster they protect, a creature seeking revenge but tied to someone they care for. The Taoist Magicians often deals with ghosts, so maybe it doesn’t need its own role move. I’d also like to steer away directly from things with real world analogues. I’m not sure about the Alchemist and what they could do. 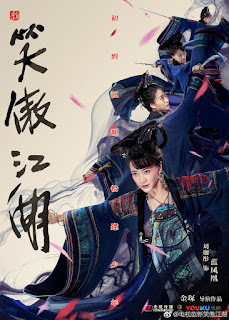 Both Qin the Warring Era and Legends of Wulin have systems for this, but I don’t want anything elaborate. Maybe more an herbalist. I have an idea for The Cursed, but it’s rough: You have an additional condition called Friends & Family. Any time you mark a condition, you may mark this instead. If you do so, a future scene will showcase a terrible event or encounter having happened to a close NPC. They might be injured, haunted, or even simply angry at you for an unclear reason. You have to deal with their problems to clear this condition. I wonder if additional Basic moves would be needed. There’s a trope in many of these movies that supernatural elements terrify the hardiest unless they have preparation. I might not need anything except Overcome and a consideration of Scale. As for going detailingr the supernatural—probably worth assembling some general discussions of those tropes and maybe laying out some fronts. As you saw in my Basic Moves post a few need significant re-tuning. I don’t think require complete retooled, but we will see. With more play we might discover which moves get used and which get forgotten. In a couple cases how I ran at the table varied from their text. I need to reconcile that. For example, I originally intended that the Comfort & Support move wouldn’t clear Conditions in a conflict situation, only outside of that. At the table I let the players do clear those in a fight because it felt right. Not permitting that would have shut down interesting choices and limited things. In a PbtA game aiming for tragic pressure on the players that might be right. But for one that embraces empowering action it wasn’t. So I need to stress test other moves to see if we’ve got other frayed edges. Changing Comfort & Support in turn meant I had to change at least one playbook move. In general I’m happy with the starting playbook choices. They reflect the kinds of characters I expect from this setting. 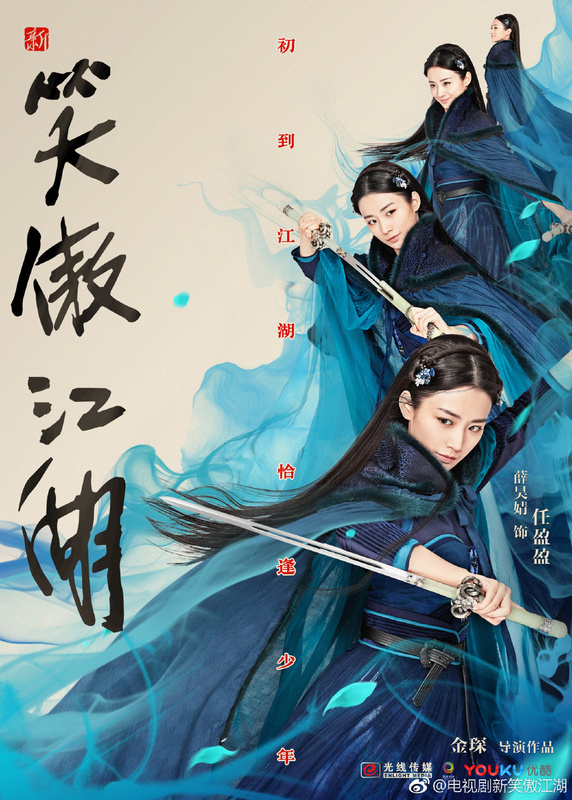 Some of the moves seem a little derivative and I need make them feel like they’re part of the wulin world. I like eight moves each; I wouldn’t want to do too many more. They’d have to be pretty cool to add them. On a related note the playbooks right now say that players can create custom moves for their style as an advancement. I need to provide examples of those and guidelines for building them. I don’t necessarily want to go down the rabbit hole of pre-built styles but I need to figure out what those could look like. If I want to write this up as a formal (and publishable) project, I need develop materials which can help someone get into and run this genre. The GM Moves will establish some of that. Tweaks to Basic and Playbook moves to deepen flavor will help as well. A list of suggested viewing and reading’s a must. To supplement that I want to go through some of the classic movies and books examine them in the context of the game. 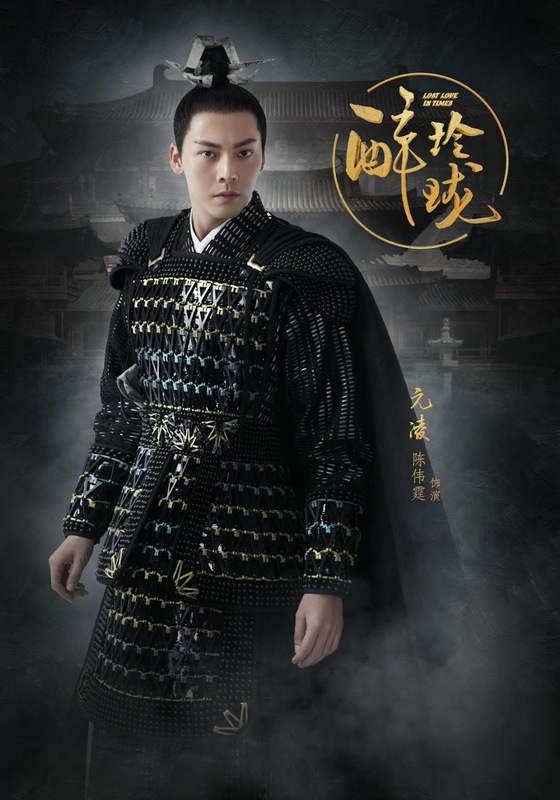 Jianghu Hustle does a great job of analyzing films to draw out their wulin and gameable elements. I’d like to do something similar, but talking about what moves occur at particular moments in these movies. I’d also like to walk through some of the best wuxia TV series to show what a great resource they can be. I had additional concepts I didn’t develop for this first draft. I don’t know if they’ll be worth pursuing. For example I thought players transitioning might transition between the five archetypal playbooks as their characters grew. Moving from X to Y playbook would open up a special move tied to that shift. For example a character changing from Loyal to Outside might have the “Disillusioned” move; from Aware to Student might gain “Broken Path;” from Student to Bravo could have “Worldly.” I don’t know if it’s a worthwhile goal to come up with twenty of those or not. I love these movies and stories but I’m also an old, white dude. If I tune this publication I want to have Chinese and other Asian readers look it over. It’d be great to have someone familiar with Chinese wuxia series especially give their input. These are flashy, melodramatic stories—often soap operatic-- but I don’t want to end up with a parody or something that just revels in exoticism. 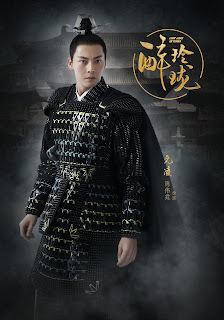 I also need to get someone familiar with Korean swords & history dramas. How do they differ and what kinds of tools might we need to better serve those? I always take one of my own games to Origins Games on Demand, though they’re often not picked by players. Last year I did all Tales of the Loop and The Veil; I never got to run Magic Inc. I’ll try again with HoW. With some tuning it could work as a one-shot: two entanglements, list picks for names, pre-set factions, simple playbooks. I might create NPC cards with pictures from my Pinterest board to help evoke the setting. If I’m going to do that I’ll probably run a couple of two shot sessions for the Gauntlet Hangouts in May. A split online two shot’s probably the equivalent of a f2f four hour game. I still have a bunch of work to do, but that’s the basics. Thoughts? 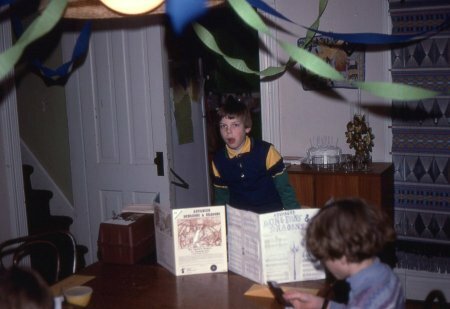 I'd almost finished a blog post draft and then I realized I'm going be spending at least part of my birthday tomorrow cleaning up my dad's water-damaged basement and I'd really rather be playing Monster Hunter World and so here's a picture of me running D&D as a kid at one of my birthday parties using a homemade DM screen. 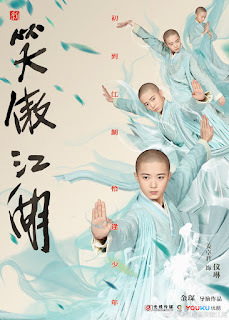 I posted the basic moves for Hearts of Wulin last week. So far we have five playbooks Aware, Bravo, Loyal, Outsider, and Student. Each has three “base” moves players choose from to refine their role. You can see some moves are original and some hybridized. These are my first attempts; I think they work well, but I also need to go back and look at them for how they fit with the Basic Moves and the genre. I'm also unreasonably proud of naming all the moves after wuxia films & series. With this, my last post, and experience with PbtA, you can probably run Hearts of Wulin. As with the other move, where it says “roll,” players select which Chi to roll with. You can see an example Google character Spreadsheet for HoW here. There are some small changes to the Move texts between these posts and the sheet, but they’re basically the same. 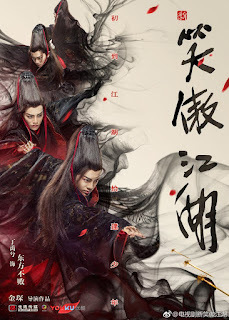 On Thursday, I’ll post some thinking about GM Moves & Principles, next steps, repurposing these rules, and a distinct module for more supernatural wuxia stories (Bride with White Hair, Green Snake, Chinese Ghost Story). If you dig this, have questions, or run this preliminary version yourself, give me a heads up. You're a paragon of calm and thoughtfulness. You understand when it is time to fight and when it is not. When you attempt to stop a conflict as it breaks out, roll. On a 10+ you cool tempers. If anyone decides to instigate the fight, they must mark a condition. This lasts until the circumstances change. On a 7-9, you have a moment to negotiate. You must offer the attacking side something they want or they will press their assault. On a 6-+, you’re caught up in the fight and suffer damage or blame. You're a gifted scholar, well read and well informed. When you perform a Study action based on history, research, or informants, you always gain +1 Hold. You gain +1 Forward acting on the information. You have travelled across the land and met many people. You know telltale signs and markings that reveal members of a faction. At a glance you can pick out an unhidden person’s group or organization. When you attempt to penetrate a disguise roll. On a 10+ you can identify them and ask a question. On a 7-9 you can identify them but they notice your attention. On a 6+ you misidentify them or walk into a trap. You can immediately spot and identify any kind of poison or potion before it's consumed in your presence. If someone has been struck by poison, you may roll Overcome with a +1 to treat and heal them. You can build strange devices. Say what you wish to create and the GM will tell you what you need (time, materials, assistance). If you have those, roll. On a 10+ you build it. On a 7-9 the GM will tell you how its effect will be uncertain or fragile. On a miss, choose whether you injure yourself in the failure or the creation backfires spectacularly when used. Choose a faction, you take +1 Forward on any social interactions with a member of that faction. You're regarded as an honored guest by them until proven otherwise. Once per scene you may move to anywhere within line of sight. This can be accomplished regardless of height or distance provided no completely blocking barriers exist. While all PCs possess “lightfoot” movement, this motion demonstrates mastery and may shock your opponents. While you have a condition marked on your Style Element, you may substitute another Chi in for Martial actions. On a miss, hold 1, but your plan falls apart at the worst possible moment. On a fail, your plan’s revealed, leading to betrayal or ambush. If you attempt to keep someone from dying in your presence, roll. On a 10+ you keep them from passing, though that may put them into a suspended state. On a 7-9, you can do so, but there is a significant cost. On a fail someone will somehow blame you for the death. Take a +1 when you deal with Inner Conflict. You're the blessed one, the person expected to take control of your family one day. One parent may spoil you, defending you even if the other becomes irritated at your behavior. You always have coin and everywhere you go, merchants and innkeepers set the finest table for you and your entourage. You can defer payment; they know your family's good for it. You keep a charming smile and live well, but behind the scenes you pursue a life of crime. You're not a common criminal, of course. You simply work to have the finer things in life you deserve. And you only steal from those who deserve it. You may even be a "Robin Hood" character, striking at fat cats and corrupt officials to aid the poor. Come up with a legendary name for your criminal identity. You also have a foil: a magistrate or investigating official who pursues you but manages to always pass you information via their bumbling. You travel from place to place, enjoying yourself, gambling, and leaving a trail of broken hearts behind. You probably enjoy a bad reputation among the respectable classes, but that only adds to your aura. You may not be wealthy, but you know how to stay ahead of problems. When you would suffer social, legal or financial consequences, name someone and roll. On a hit, they suffer instead. On a 7-9, they know it was you. On a fail, your scapegoating falls apart and your erstwhile victim finds out what you tried to do. When you case out a location, roll. On a 10+, ask three questions from below. On a 7-9, ask two. Take +1 Forward acting on the answers. What’s my best path in/out? What here is worth stealing? Who or what here is not what they seem? How can I embarrass them? On a miss, you find yourself in over your head. The GM will tell you how you're in a bad spot. Your clothing, belongings and quarters are all lavish and expensive. Gain one of the following NPCs as a retainer: Servant, Assistant, Bodyguard, Consort, or Teacher. Name the NPC and give them a 2-4 word description. When you go to your circle of contacts to get something you want roll. On a hit, you get what you want. On a 10+ they provide more than you asked for in volume or quality. On a 7-9 there's a cost or complication. Choose one: it takes time, it depletes your ready cash, it attracts unwanted attention, your contact needs other assistance—burn a bond. On a fail they don’t have it and someone finds out about your hunt. When you express yourself through a performance of song, poetry, or other art, roll. On a 10+, choose 3. On a 7-9, choose 2. One person present must meet you; tell the GM who. You inflict or clear a condition of your choice in someone present. When you Study in a formal, official, or high society setting you always have +1 Hold for choices. You gain +1 Forward acting on the answers. As well without rolling you may always pick out who is the most influential or wealthy person in the room at a glance. You can slip from any restraint or pass through any door or window as if it were open. This slippery nature extends to attack and defense—you move elegantly to avoid attacks so as to not wrinkle your dress or spill your plum wine. When you spend time with someone to learn their web of connections, roll. On a hit, you discover their three closest confidantes and a short descriptor of that relationship. Alternately, you may learn one confidante and one debt the target has not revealed to others. On a 7-9 your target’s aware of your workings. On a miss someone you didn’t want to know becomes aware of your meddling. So long as you continue to interact with someone, you keep their attention and distract them from other business. You may even draw them away to another locale. If they want to leave you, the target must mark a condition. This ability doesn’t work after an open conflict has erupted. You're loyal to your family or clan, and they in turn support you. You have no worries about resources. 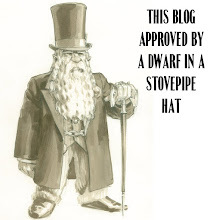 Once per session you may call in a favor from your family: a letter of introduction, pulling strings to get you and your companions into an exclusive party, or perhaps support for a wild plan. They may ask favors or have other expectations for you. You might be a magistrate, judge, or simply a civil servant. This gives you a measure of authority. You have connections who can give you information or help you out when you need it. Choose a type of contact- street beggars, court hangers on, members of a particular faction. You can always make contact with someone of that type who can give you basic information or help you in some minor way, so long as it doesn't cost them anything or put them in danger. If you want more hard-to-find information or a dangerous favor, you will have to agree to a cost your connection stipulates. 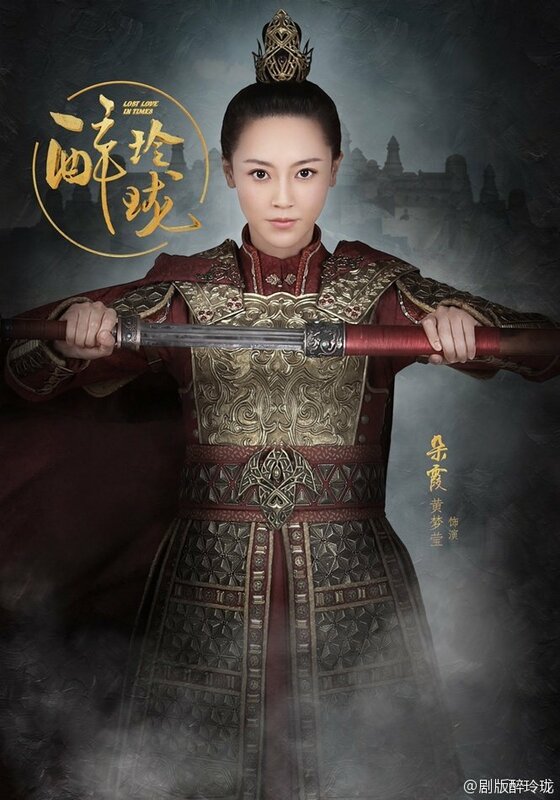 All in the wulin world have learned combat, but only a few have truly devoted themselves to it as deeply as you. Your service to your family and clan comes in being the best knight you can be. You have an additional Wounded condition. When you mark your first Wounded, you're bloodied and cut, but you can still fight. You're only taken out after checking your second Wounded. You possess a legendary blade which can be recognized wherever you go. You gain +1 when you Deal with Mooks or attempt to Impress someone from the martial world. When you seek advice from one of your seniors, roll. On a hit they will tell you what to do. On a 10+, mark XP if you follow their advice and take +1 ongoing to follow through. On a 7-9, you get +1 forward to see it through if you do it their way. On a miss, they’re secretly connected to the troubles you’re asking about. When you give NPCS an order based on your authority, roll. On a hit, they choose one from below. On a 10+, take +1 forward against them. On a miss someone of your scale will challenge you for your abuse of authority. This may happen now or in the future. When you hunt someone, roll. On a hit, you know exactly where to find them and can track them until you do. On a 10+, they're not alerted and you take +1 Forward against them. On a miss, someone unpleasant finds you first. When you Support an ally, give them +2 to their roll instead of +1. When you defend someone or something from an immediate threat, roll. On a hit, you keep them safe and choose one. On a 7-9, you also expose yourself to danger or escalate the situation. On a fail, tragedy occurs. You may burn a bond with someone to appear in their presence. Others may burn a bond with you to have you appear as well. When someone breaks a promise to you or lies to you and you find out, you gain a Bond with them. If you burn this bond in an action against them, you may add +2 Forward. Additionally, you can spend it to have one of their plans or activities go awry. Say what happens. You rebel against something: a corrupt official, your original faction, the Empire itself. When you call up your fellow rebels to aid you, roll. On a hit you can secretly summon a small group to assist you. On a 7-9 choose one: it takes a long time, you cannot do this again until you're performed a quest for your faction, the group's small in number, you attract unwanted attention. On a fail, they’re in trouble right and your efforts deepen that. You travel from place to place in search of something: purpose, faith, love. When you return to a community you’ve visited, roll. On a hit, the locals remember you favorably. On a 10 or greater, they owe you a debt of gratitude. On a fail you left a mess behind when you departed. You're a trickster, happy go lucky and smart. 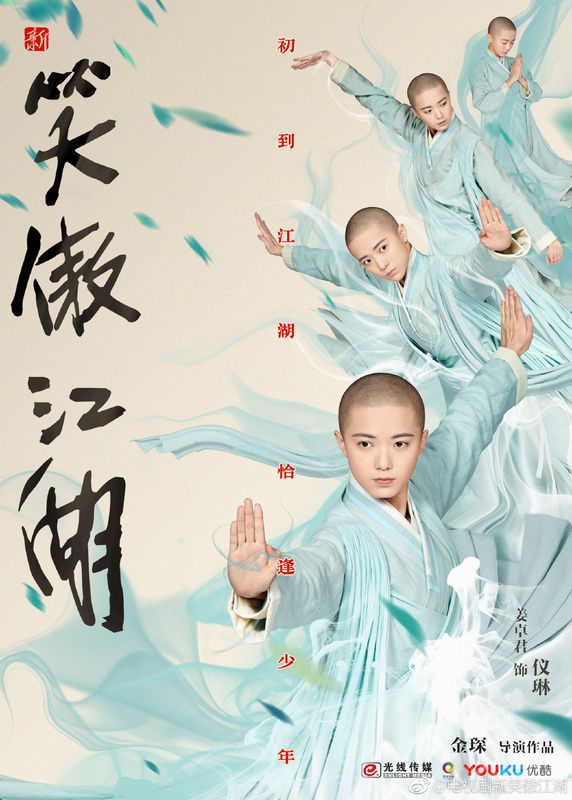 You know how to use the rules of the wulin and outside world to your advantage. You always have leverage when you go to use the Hearts & Minds move, even against those who might not otherwise be susceptible to your words. When villains appear you always know who they are. The GM will name them and you may declare (or ask for) one detail about them. You're never taken by surprise. You can assume a perfect disguise. If you're impersonating someone specific you must have seen them and have their garb. When you might be challenged, roll. On a hit, your disguise fools them. On a 7-9 they have a delayed suspicion. On a miss, your disguise falls apart on inspection. You owe someone; burn a bond. On a fail you walk right into their hands. When you reveal a trap you've left for someone, roll. On a hit, your opponent trips into it, and you get an opening or opportunity. On a 10+, you take +2 forward against them. On a miss, the trap inadvertently leads to a dangerous escalation. You may choose to appear as another faction to those who do not know the truth. Once per session, you may announce your presence in the perfect place to "help" someone, regardless of distance or logic. So long as there are shadows and cover, you may attempt to become invisible and undetectable for a scene. When you conceal yourself, roll. On a hit, no one can detect you until you decide they can. You can break this by choice or attacking. On a 7-9 you remain hidden but leave some trace of yourself behind or alert someone in the scene before you reveal yourself. On a miss, your attempt fails and leaves you vulnerable. When you reject someone's declaration of love or friendship because of the gap between you, clear a condition and take a bond with them. You belong to a temple, but have decided (or been told to) explore the temporal world. When wearing your temple robes, locals will treat you with respect and even bandits may think twice before attacking you. You may ask for hospitality while travelling. You must decide a vow which could cause you problems during your journeys. You understand devotion and dedication even in the face of suffering. When you burn a bond with a person for a bonus, you gain +2 instead of +1. You have to prove yourself and your natural talent. When you battle someone above your Scale, you do not lose immediately. You may choose to mark a condition to keep your clearly superior foe busy. This gives others breathing room to act, protect people, or get something they came for. If you do this to cover the group's escape, then everyone gets away, including yourself. When you mark the Wounded condition, all of your allies gain +1 Forward. When you seek the guidance of one of your elders, tell them a problem you face, and ask them a question about the problem. They will answer it honestly, and tell you what to do. Take +1 ongoing if you listen. If you go your own way, mark XP. At start of session, roll 2d6. On a 6-, mark XP and the GM gains a “karmic” soft move for later use. On a 7+, note the die roll. At any time during the session, you may swap this in for a roll by you or an ally. The swapped out roll goes away. If the roll has not been swapped by the end of the session, it goes away. When you intervene as someone offends, horrifies, or upsets another, roll. On a hit you may change what was said said into the kindest compliment. On a miss, you make matters worse. If the effect came from a failed move, on a 10+ you eliminate any fallout. On a 7-9 you reduce the GM Hard Move to a Soft Move. When you attempt to change the loyalty or purpose of a worthy henchperson or lieutenant, roll. On a 10+ they hear your wisdom and passion. Depending on the situation they may come with you, go to face their master, or flee. On a 7-9, your words make them hesitate. Choose if this plants doubt in their mind or if they take a deliberate or inadvertent action to assist you right now. On a fail, they push your efforts back against you. Mark a condition. You may use Comfort or Support to clear a Wounded condition. You're just here to see the world. Once per scene, you may ask one question from Study without rolling. You're inexperienced, but somehow you alone are the voice of reason. When you offer advice to another PC and they ignore it, you take +1 Ongoing during any attempt to bail them out of their troubles. If you dig this, have questions, or run this preliminary version yourself, give me a heads up. We’ve had two sessions so far of Hearts of Wulin. When we’re done all four, I’ll put all these rules together in a manageable form. I’ll also be doing edits and changes. But today I wanted to show you what we’re playing from. This post just covers the non-playbook; next week I’ll post the playbooks. I’ve added comments in a couple of places to clarify choices. This is a PbtA hack, so it assumes knowledge of those mechanics. 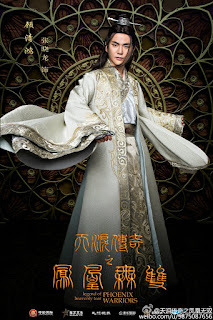 My vision of wulin comes from a ton of stuff: RPGs to movies to TV shows. Of those, four stand out as my touchstones. For movies that’s Crouching Tiger, Hidden Dragon and Painted Skin. The latter has more supernatural than I’m working with, but has awesome personal entanglements. More important are two Chinese TV shows. The first is The Handsome Siblings (2005) aka The Proud Twins. 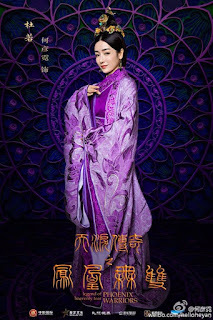 Taken from a novel by the prolific Gu Long, that story’s been adapted multiple times for film and TV. The second and more important is Laughing in the Wind (2001), taken from the novel The Smiling, Proud Wanderer by Louis Cha. That’s had several adaptions, including Jet Li’s Swordsman II. I also want to note that I wrote an earlier, terrible version of this. Renee Knipe generously looked at that and nicely didn’t point out how awful it was. 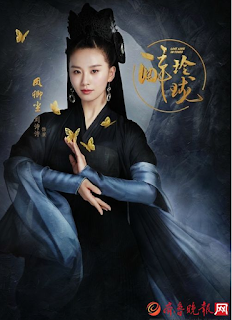 She’s also working on a PbtA wuxia game and I suspect her version’s stronger than mine. As well I started listening to Jianghu Hustle just after I began this revision. That heavily influenced my thinking—especially the concept of Scale and having triangular entanglements. Go listen to that podcast. 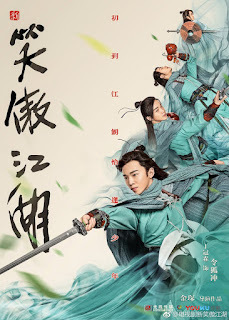 Lastly I probably wouldn’t have written this if the amazing Weapons of the Gods/Legends of Wulin didn’t have the most convoluted and opaque mechanics I’ve ever seen. 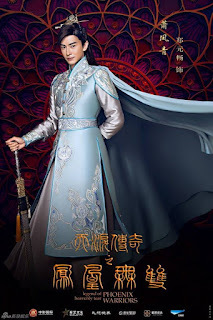 Hearts of Wulin: Conventions & Assumptions. Session One Video; Session Two Video. When players mark a condition, they mark one of their Chi. Until they clear that condition, they may not roll with that stat. If a condition directly results from their roll, they always mark the Chi they rolled with. Players can describe the condition as they want, usually based on what’s happening in the story. Chi conditions can be a lack or excess of that element within them. The right-hand elements under each present options, but players choose their own name for what’s happened. Players also have a sixth condition, Wounded. This doesn’t close out a stat but does take them out of a conflict. It also requires time and medical attention to heal. Everyone chooses a style the Chi associated with it. You roll that stat for martial combat. Your style element should reflect your style’s appearance and flavor. You’ll also name your style. I have some example names below, but please feel free to make up your own. Ways of the Waters, The Hidden Path, Unfallen Dragon, Seeking Pilgrim’s Style, Storming Master’s Form, Shadow Brother’s Style, Shooting-Stars Hands, Way of the Graceful Warrior, Black Crane, Secrets of the Stone, Heavenly Gifted Form, Eight Diagram Sabre, Path of the Blossoming Tear, Vengeful Beast Mastery, One Soul Legion, Sun and Moon Serpent Sword, Golden Hawk Form, Sunburst Method, Fist of Precise Thought, Forge-Hammer Heart, Quiet Sage’s Steps, Taunt of the Monkey, Thousand Spear Palm, Grasshopper’s Wisdom. A character’s style should be important color for them, but not something we spend mechanics on. If players focus on their style, they can create custom moves for it as an Advance. I lifted the weapon groups from Legends of Wulin, but I may rethink their presentation. You can spend bonds as a resource in play to get a +1 on a roll (after you roll). By default you start with 1 Bond each with your Clan/Faction/Family, the player to your left, the player to your right. You can use a simple descriptor for those (friend, brother, rival, lover, suspicious). Note: to keep things simple, I had them just start with one for their clan and one for their most connected PC. You’ll gain more bonds via moves. You may have a max +3 bond with someone or something. If it would go higher, you reset it to 0, mark XP, and reveal something about them (subject to PC approval). Burning a bond can represent you alienating that group, calling on their aid, or using up the boost their friendship gives you. This is the bread & butter of the relationships in the game. Each entanglement represents a fraught relationship with a person, group, or institution. But each one is a triangle as well, with a third party who creates problems. Since these include PCs, hold off on detailing all of them until everyone’s introduced their characters. You begin with three entanglements, one of those must be romantic. (In the spreadsheet) I have some example entanglements; feel free to make up your own. I’ve written them for persons but you can easily sub in groups or factions in some places. I posted my list of entanglements here. Originally I’d steered away from too much guidance—I only required at least one romantic entanglement. When I’d had specific restrictions for relationships in my Changeling the Lost PbtA hack they’d been a stumbling block in character creation. But a couple of players suggested we needed more rules: one entanglement with two NPCs to give you something exclusively your own, at least one with a PC involved, and at least one romantic. I also didn’t realize how quickly players would engage with their entanglements and change them. I need to think about guidance for making those changes: what can they shift, when can they do that, and how does that affect things? When you fight against a worthy foe, roll +Style Element. If your foe is lesser scale than you, on a hit you win the conflict. On a 10+ you may mark XP if you permit them to escape or show them mercy. On a 7-9 you may let them go or finish them with a cost (now or in the future). On a failure, you win but they inflict a condition and escape. Depending on the fiction they may return at a higher scale. You win at a cost (condition, injury, escape, reputation, roll Take a Powerful Blow). You narrate how you lost (mark XP). You gain +1 Forward the next time you face them. You deadlock with your opponent. You may reveal or learn something about them. If your foe is above your scale, you lose the conflict. On a hit, you may declare how you lose. On a 7-9 roll Take a Powerful Blow. Once you have faced or studied a foe above your scale, you may do something to even the score: study a secret technique, acquire a weapon, conduct a stratagem, weaken them, cheat, fight alongside someone that you have an adversarial entanglement with, team up with a group who shares mutual bonds, or the like. Some potent named foes may require several steps to equal in scale. When you challenge another PC make an offer of what you’ll give them if they accept your victory. You may offer your unspent XP, character actions, burning bonds, changing entanglements, or similar things the GM approves. You put a single offer on the table. If the other player accepts, they lose the duel and mark XP. You must follow through on your offer. If the other player rejects the offer, you both mark a condition. When you fight a group of foes who collectively are below your scale, roll. On a hit, you defeat them. Describe how you do so. On a 10+ you do so easily. On a miss, choose: their numbers overwhelm and you must retreat (mark XP) or you win at a cost. If multiple characters fight mooks, then if one retreats the others must as well (and mark XP). When you pressure someone susceptible to your words, say what you’re trying to get them to do and roll. For NPCs: on a 10+, they bow to your words and do what you want. On a 7-9, they can instead choose one. They reveal themselves: you may ask two questions of them. They overreact: you gain bond with them. They hesitate: you gain +1 ongoing on them. This lasts until there is a major change with them in the fiction. They alienate: they create animosity between themselves and someone of your choosing. For PCs: On a hit if they do it, they mark XP. If they don’t, they mark a condition. They may burn a bond to avoid this. On a 7-9 you mark a condition as well. We had some questions with this move. You can see various versions in other PbtA games, but I think I had “Provoke Someone” from Masks as the model. One players questioned the “reveal themselves” aspect here. I think it works because it’s a choice the NPC makes to avoid doing something. In Session Two I mistakenly read an action as triggering rather than Study. It really should have been that since players wanted the NPC to tell them something. When you act to impress others or succeed at a competition, roll. Describe your performance. On a hit you impress and convince. Pick two. • Create a bond • Gain a favor • Clear a condition. On a 7-9 the GM will offer you a hard bargain. If in direct competition, the bargain will usually relate to them. This move is useful for public gatherings or explicit or implicit competition, (artistic performance, kata demonstration, tournaments). For working with someone specific, see Hearts & Minds. Reveal a detail—declare something which changes or adds to the established fiction significantly. I talked about my feelings about PbtA informational moves in my Mystery Academy post. This is my solution—bundling together spout lore, read a sitch, pierce the mask, etc. One of the end of session comments suggested having set questions like other PbtA games. I don’t know if I want to run it that way, but I might create an optional version for GMs who dig that. At the very least I’ll include sample questions. When you comfort or support someone, roll. If you’re outside a charged situation, on a hit they hear you: they clear a condition. On a 10+, you can clear a condition yourself, ask them a question they must answer, or gain a bond with them. If you’re in a charged situation, on a hit you may give them +1 on their roll (before or after rolling). On a 7-9 you share in any consequences from their action. Need to better point to the split within this move. When you deal with forceful emotional turmoil and pressure from one of your entanglements, roll anything but your style element. On a 10+ you manage to keep yourself together. On a 7-9 you must either flee the scene or mark a condition until you make a change in the entanglement. Given how much we interacted with entanglements, this became a go-to move. Monsterhearts influences this. Someone’s assault gets past your defenses, roll + conditions marked. This can be physical, social, or emotional. On a 10+, choose one. you embarrass yourself and lose face. Burn two bonds. On a miss, you stand strong. This move is really reserved for a climactic scene where characters face someone significant. It’s a response to a GMs Hard Move. I expect, given the outlets elsewhere, we’ll rarely come to this. Is it necessary? Not sure. When you do something under pressure, roll. On a 10+, you do it. On a 7–9, you flinch, hesitate, or stall: the MC can offer you a worse outcome, a hard bargain, or an ugly choice. On a miss, be prepared for the worst. So here’s our “Act Under Pressure” move. Do we need it? I think we do; it generates interesting results and responses. I want to use it sparingly though. We assume competency for our wulin heroes, so we can handwave a ton of stuff. But, for example, when one of the players had to flee a scene with a corpse in tow and the guards pounding on the door, we had them roll this. The 7-9 result got them away, but not before being spotted. When the PCs go into conflict as a group, nominate one PC as the lead. Two rules apply here. One, you cannot be the lead character again until everyone has had equal turns at it. Two, if the conflict's directly related to your entanglements, you have priority. This does not trump the first rule. The lead character has first choice to take on any worthy foe(s) in the scene. If there is more than one worthy foe, they may face both (putting themselves down a scale) or ask other PC(s) to handle the other foe(s). Non-lead character can perform other actions: set up opportunities, comfort & support, and most importantly deal with the Mooks. This tries to formalize PC spotlighting in what might otherwise be a chaotic scene. Some of the other moves refer back to it. When you go off to develop a new technique to face a foe of higher scale, describe your montage and roll +(the number of times you have faced that foe). On a hit, you gain scale on your foe. On a 7-9 there’s a significant cost to learning the move. Once per session when you meet a new wuxia character, nominate a PC present. They get into a conflict with them—describe the nature of the misunderstanding. Roll +Style Element. On a 10+, the PC may choose to win or choose to leave it undecided. If the latter, they may mark experience and gain a bond with the encountered character. On a 7-9 the result is undecided before the fighting’s finished. On a miss, the result is undecided but the encountered character will bear a grudge. When you walk alone into a dangerous situation you’re aware of, but your character isn’t roll and mark XP. On a 10+ you’re altered by something before your adversaries can take advantage. On a 7-9, you’re taken somewhat unawares—the enemy can do something before you act (even the scale, seize something, change the locale, reveal a trap, close off escape, frame you for something). This one needs work. I added it for Session Two. In the debrief we talked about its intent and how it gets played out. 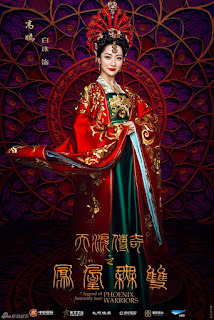 In the wulin genre we often have heroes walking into situations that we as the audience (and the players) know are dangerous, a trap, etc. I want to simulate and incentivize this. The move itself has two problems. First, I wrote “alone,” because that’s how I pictured it: a PC heads off by themselves to put their life in danger. But that’s a needlessly restrictive detail. It could be the group as a whole. Second, there’s the difficulty of emulating heroic naiveté. It’s hard to divide a player’s smart sense of danger from what their character might expect. I think, if I want to do this, I need to phrase it as an offer from the GM. It’s a different kind of fictional trigger, more like a compel. I’m still thinking about this. I wonder if I couldn’t merge Misunderstanding and Heedless somehow. Bonds represent friendship and influence. If you have a bond, you can burn it to gain a +1 on a roll. This can represent you alienating that group, calling on their aid, or using up the boost their friendship gives you. You may clear chi conditions via the Support or Comfort move. Alternately, between scenes you may narrate how your character deals with the problems of the condition. This should cost something (time, resources, making an entanglement more messy). You can then clear the condition. The Wounded condition’s more involved and requires time and medicine to heal. At the end of a story arc, all characters may clear a condition. You mark XP in several ways. When you take a loss in a conflict, when you agree to pressure from another PC, and when certain moves offer it. Each session you highlight one of your entanglements. If you interact with that entanglement in a significant way during the session, you may mark 3 XP. If you interact with your other two entanglements, you may mark 1 XP each. Add +1 to one of your Chi (Stats). You may take this option five times; once for each Chi. Add a new move from your playbook. You may take this 3 times. Add a new move from another playbook. You may take this twice. Add a custom move for your martial style. You may take this twice. I have some other ideas about advancement, but I kept it simple for this version. I probably need to specify a Start of Session move where players highlight one of their Entanglements.